It is considered the preferred messaging platform by individuals in the cryptocurrency space, mostly due to its commitment to privacy and excellent security. In 2018, Telegram raised $1.7 billion in four months through an initial coin offering. The aim of the ICO was to raise funds for the creation of the Telegram Open Network (TON), a digital network that would allow users of Telegram to send payments across international borders. Promotional materials of the ICO said that 5 billion Grams will initially be released to users once the network goes live. Investors would be paid $0.37 per token, according to the document. The developers of TON reportedly worked with the Wall Street law firm Skadden, Arps, Slate, Meagher & Flom. Some of TON's initial investors include Silicon Valley firms Benchmark, Sequoia Capital, and Kleiner Perkins. In February 2019, Telegram sent a message to its investors saying that the network was 90 percent done, and that it would hopefully have some version of the system out within a few months. ↑ Where is Telegram based?. Telegram. 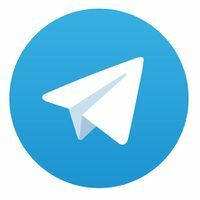 ↑ Why The Telegram Ban Is Good News For Its Cryptocurrency. Forbes. ↑ Virtual Currency Offerings May Hit a New Peak with Telegram Coin Sale. New York Times. This page was last edited on 1 March 2019, at 14:24.